Lions are often said to be the kings of all animals. They are also a symbol of power and popular archetypes for influential rulers. Most civilizations have depicted these regal animals in their artwork as an important attribute of power. Many beautiful statues and amazing reliefs with the graceful creatures have survived from ancient times, but some of them stand apart for their fascinating stories. If someone is ''like a lion'', it means (s)he is very brave, wise, and powerful. Few would be offended at being compared to this majestic animal. Lions became decorations for some of the most remarkable monuments, palaces, and temples. In ancient times, the appearance of a lion statue increased a site’s prestige. When they were associated with rulers, they made the person more memorable. 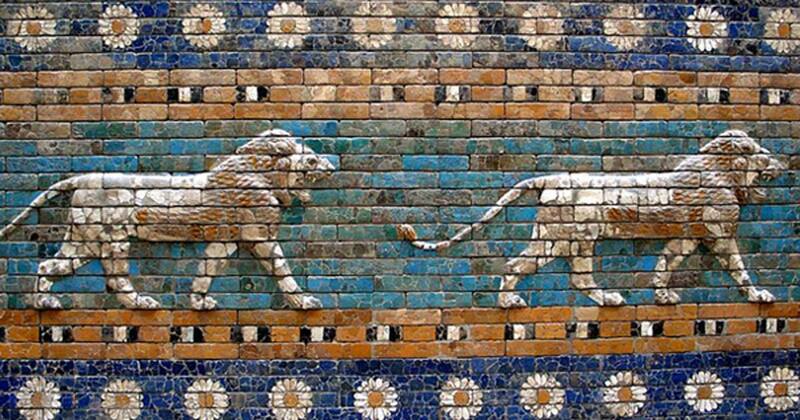 Many lions were depicted on reliefs and statues in Babylon, but the best-known example is the Lion of Babylon which was discovered in 1876. It was considered a masterpiece of art since its creation. For a time, it was believed to have been made during the reign of the famous King Nebuchadnezzar II (695 – 562 BC), but more recent information paints a story that is even more captivating. During his reign, King Nebuchadnezzar fought with Hittites. It seems that after one of the battles the king took the amazing statue to his capital city as a war treasure. In July 2016, local officials announced that they will protect this famous statue with a security barrier- so many people wanted to touch it that it was damaging the iconic artifact. It is also interesting to note that this lion became a symbol of the Iraq Football Association. Another interesting lion statue is the stone lion which is believed to be part of the ''Lions Gate” of the Parthian cemetery in Hamadan, Iran. However, there is much more to the story of this weathered statue. Legends say that Alexander the Great is the one who brought it there. Alexander was deep in grief after the tragic death of his friend and companion Hephaestion. Hephaestion died in 324 somewhere in Persia, and many researchers suggest the lion was made to commemorate this fallen friend. The place where it was originally left in Hamadan is still disputed. Perhaps the funeral ceremony took place in this area, however, evidence for Hephaestion’s tomb has never been found. The lion was made in the Hellenistic style and is one of the greatest symbols of the region and an important part of the local landscape. The Maraş lion was carved by a Hittite artist who lived near the end of that civilization. What makes this beautiful lion especially interesting is its hieroglyphic inscription. It was discovered in the city now known as Kahramanmaras (previously Maraş) in 1883. Today, the statue is in the local museum, but it was originally located by another statue which was not inscribed. The inscriptionless statue can be found in the Archaeological Museum in Istanbul, Turkey. The lion of Maraş is made of basalt and is almost a half meter (1.64 ft.) high and nearly a meter (3.28 ft.) wide. It is a masterpiece of ancient art. The carving was so perfectly made that small details like hair are still well-preserved. This lion seems to have Assyrian influences. The inscription says the lion belonged to Halparuntiyas, King of Gurgam, son of Laramas, grandson of Halparuntiyas, great-grandson of Muwatalli. The text is a typical inscription showing deep feelings and loyalty to deities and honoring ancestors. The inscription’s content allowed researchers to date it back to the 9th century BC. The lion became a victim of the massive destruction in Palmyra in 2015. However, archaeologists have already announced that it will be recovered and returned to its glory again soon. Ancient lion statues and depictions are some of the greatest attractions left from the ancient world. Thousands of people take pictures with lion monuments every single year. People still want to touch them and be close to them. It seems that this is almost a natural instinct in humans, or at least something that has been trained and engrained over the centuries. Kevin Butcher, Roman Syria and the Near East, 2003. The carvings are really amazing. Could the fascination with lions have symbolism in the out of Africa theory and throught most of the middle east. It would have been a fearsome enemy. Would lions be more likely to attack around the time in august coinciding with the Leo constellation?